Home / News / Happy Victory Day, dear veterans! The meeting with veteran of labor Victor Zhukov was held at USUE.The 84-year-old veteran of labor, Candidate of Biological Sciences, assistant professor taught at USUE-SINH since its foundation. Having retired, he is always on the go. 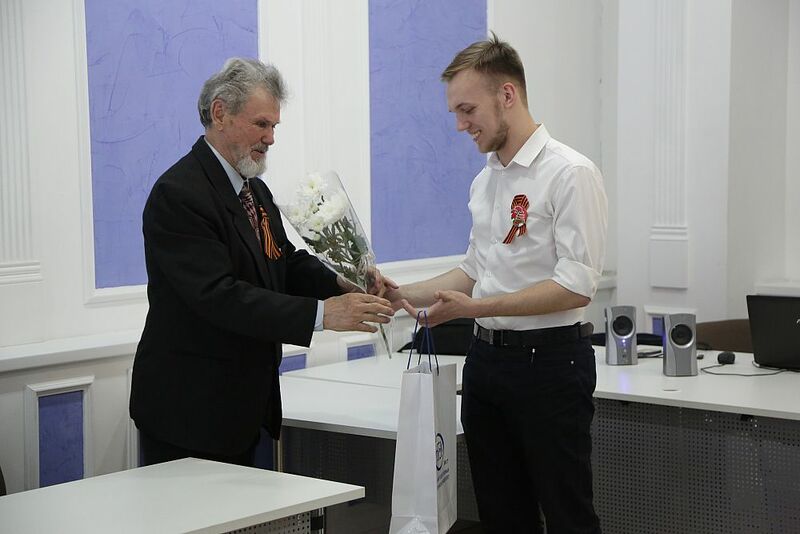 Every year on Fatherland Defender's Day and Victory Day he is a welcome guest at educational institutions: he meets with young people, talks about his interesting, eventful, and difficult life. This year, the veteran has already visited three universities before the meeting at USUE. 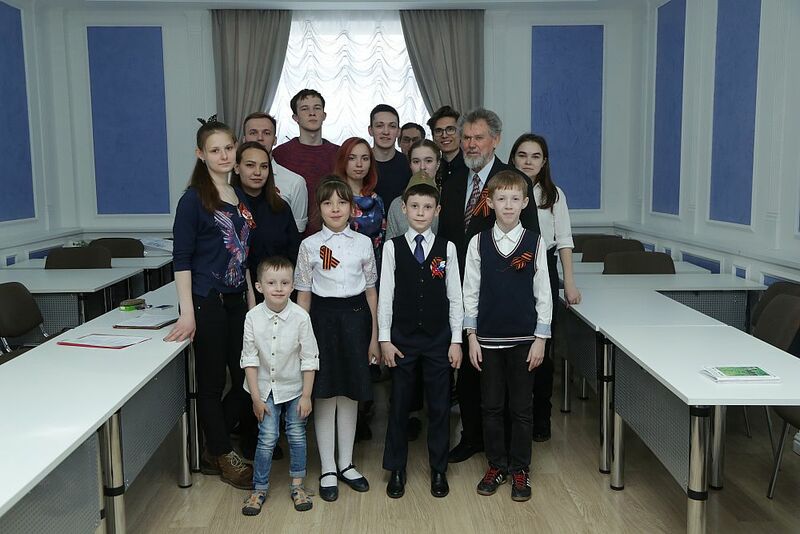 On May 7, Victor Grigorievich was met by students of Ural State University of Economics, Polzunov College and high-school students. 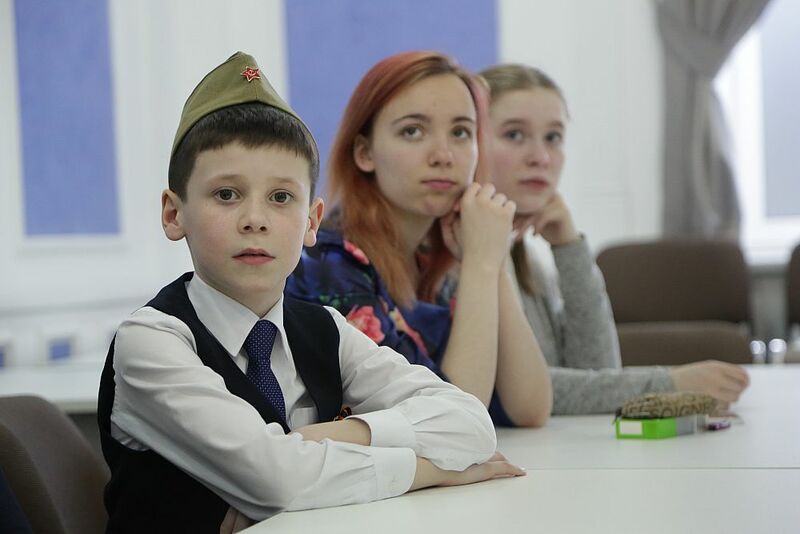 The youngest participants of the meeting were touchingly reading poems about the Great Patriotic War. 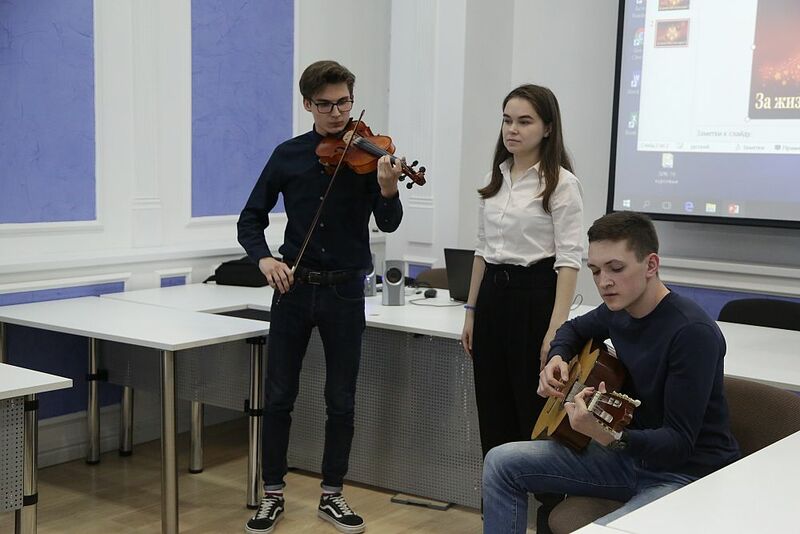 The students sang military songs to a guitar. 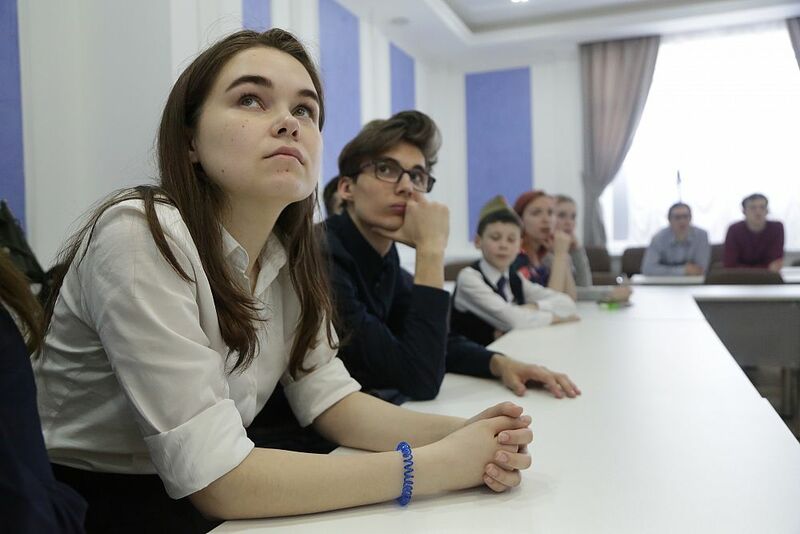 With tears in their eyes, the audience listened to "Ogonek", "For All I Thank You, Dear Friend", a song from the movie "Only Old Men Are Going to Battle." 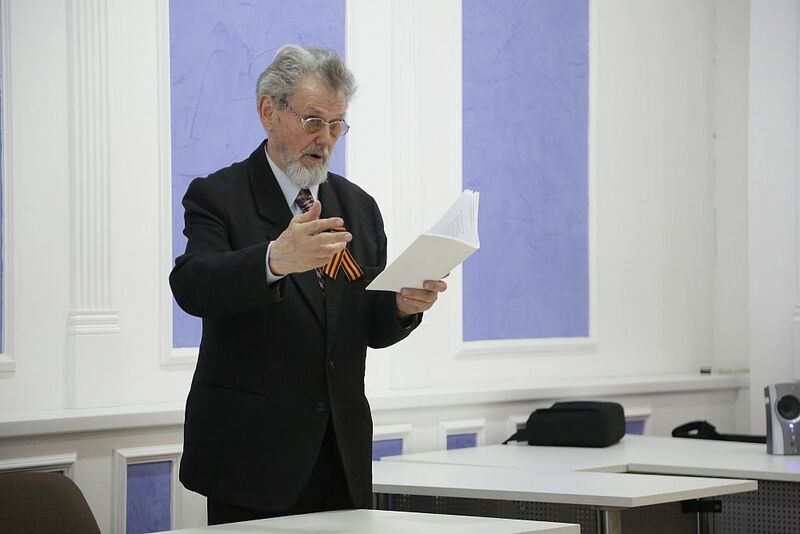 The participants of the concert sang in chorus the legendary "Katyusha". 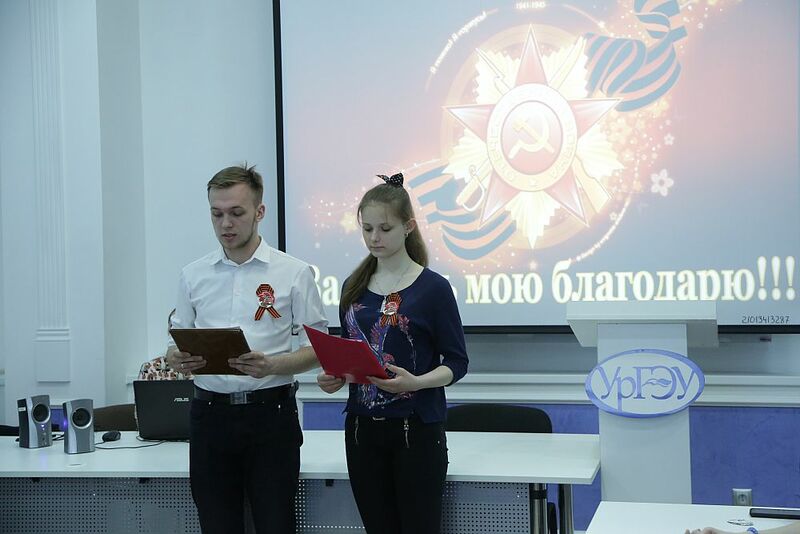 The hero of the day, veteran Viktor Zhukov, presented each speaker his poems "The Confession of a Soldier" and "Victory Day" and was pleased with the attention shown to him and the sincere way the students pertained to the topic of war. 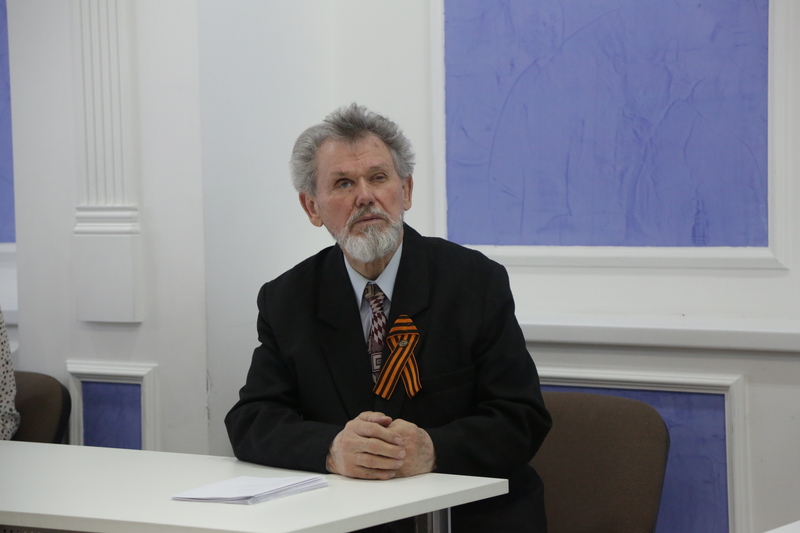 In the coming days, we will tell you about Viktor Zhukov in detail. Follow our publications on the website. 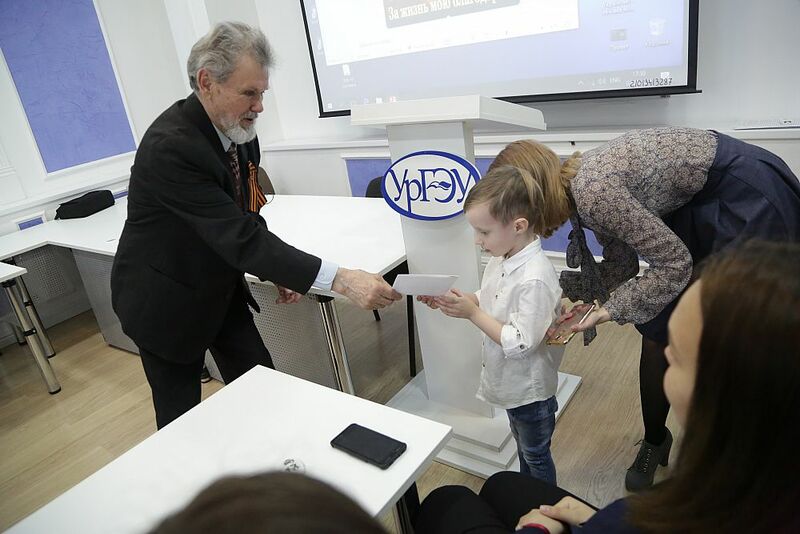 The meeting with veteran of labor Victor Zhukov was held at USUE.The 84-year-old veteran of labor, Candidate of Biological Sciences, assistant professor taught at USUE-SINH since its foundation. Having retired, he is always on the go.